DigiGirlz are everywhere.... Nomusa Keninda- Mpumalanga ICT CLUB Founder has joined forces with Science Centres in South Africa to teach and motivate young girls into STREAM Careers. She presented her paper “DigiGirlz are everywhere” at the 20th SAASTEC Conference held on the 26-29 November 2018 at Thohoyando in Venda by Vuwani Science Centre. STREAM is an extension of STEM for Science, Technology, Robotics, Engineering, Art and Mathematics. Although she strongly believes in adding another big A for Agriculture, she is actively participating and advocating for it in the near future. “Yes, DigiGirlz are everywhere.., my target is with the grade 9 girls in all schools because of many reports which suggested that there are few women in the Tech industry” Keninda said. Grooming girls into IT careers is a great idea. They will be making subjects choices the following year in grade 10 therefore, they need role models in the tech space. The South African Association of Science and Technology Centres (SAASTEC) gave her an opportunity to relate her story about the DigiGirlz events she hosted in schools in 2017/2018 year in the conference plenary. 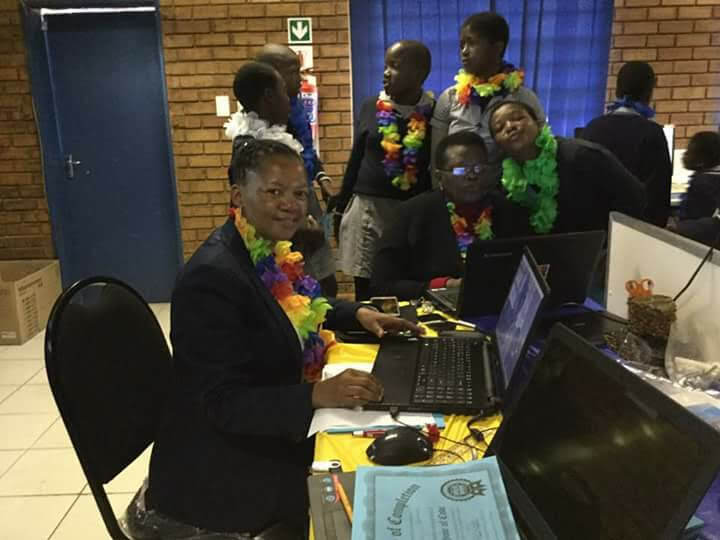 “She is an excellent presenter and motivated all of us in the SAASTEC community to look for DigiGirlz and host such events with an aim of recruiting girls into STEM Careers” said Ginny Stone, SAASTEC Secretary. DigiGirlz event is a Microsoft Initiative under its Youth Spark Programme which motivates young girls into IT careers. During the event three sessions are put together by Mpumalanga ICT CLUB: Ice breaking with girls presenting their talents in Art, Poetry, Music and Dance, secondly, Motivation Session and lastly Coding Skills where girls are introduced into Basic Computer Science Education. “We are excited as a club to have taken this initiative into a reality for young girls and we will be hosting the DigiGirlz event in all schools with grade 9 in Mpumalanga and other provinces” Keninda related with passion. The Mpumalanga ICT Club Founder has recently registered the club in the international event map of 365eduEvents in Durban and Cape Town on the 12th and 13th October 2018. She was called up by Mr Mark Duncan to make two presentations with an aim of sharing and telling the story of Mpumalanga ICT Club in empowering teachers, learners and community with computer skills. 365eduEvents is all about inspiring growth and change in teaching and learning. A fun,high energy networking event with renowned educators and the latest technologies embedded into the event. 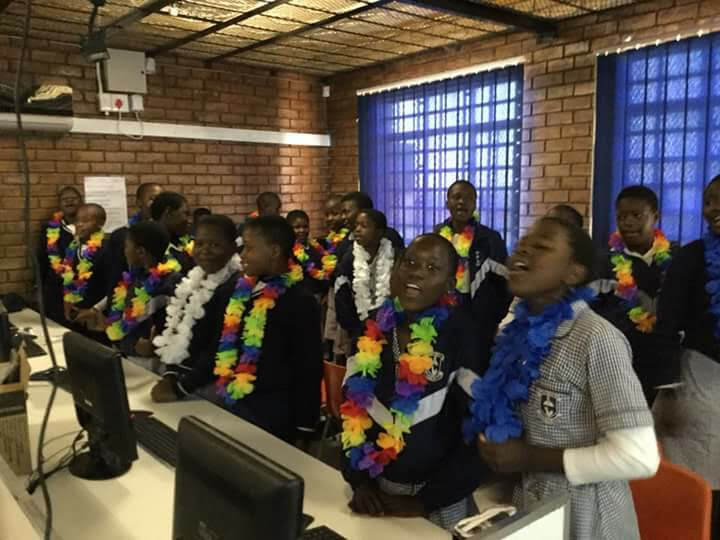 Mpumalanga ICT Club empowered more than 200 teachers with Coding Facilitation skills in Mpumalanga in the month of August 2018 using Scratch and Minecraft Hour of Code. Coding TTT Picnic Workshops were hosted at Nkangala TVET College Campuses and Kanyamazane Education Centre. “We launched at least four Community of Practice (COP) in Mpumalanga during the Coding TTT Picnic Workshops and we hope teachers will take up initiatives in their own schools to groom learners into young scientists through their computer science education initiatives.” Emalahleni COP was established on the 18 August at Witbank TVET Campus, Siyabuswa COP was established on the 25August at CN Mahlangu TVET Campus, EMakhazeni COP was hosted on the 08 September at Waterval Boven Campus and Sikhulile COP was established on the 27 September 2018 at Kanyamazane Education Centre. We would like to take this opportunity to send our gratitude to all our hosts especially the Nkangala TVET College for allowing us to host our Coding TTT Picnic Workshops at no cost. Witbank Campus hospitality department with Mrs Roos and her chef students, thank you for your time in planning and the delicious meal you served teachers during our workshops. To Mr. JJ Moropa and your team together with your hospitality students, thank you very much and your professionalism did not go unnoticed. The four COPs established in Mpumalanga will make a difference in our schools and community in kintroducing Computer Science Education to our kids and youth as we go forward. Mpumalanga ICT Club will support you every step of your new commitment. Ms Keninda Nomusa together with the Mpumalanga ICT Club project manager will visit your schools to support you. Rise, Shine, Code, and plan your Africa Code Week Workshops events with your learners during October Month. Don’t stop Coding, occupy the December Month with the Hour of Code Computer Science Week. Together let us unleash the Creativity and Curiosity skills in our learners, Let’s us shape their problem solving skills and groom them for the new job market in this Fouth Industrial Revolution. Our kids will no longer be the same as 10yrs in the mist of STREAM- Science Technology Robotics Engineering Art and Mathematics. Remember to put another Big A for Agriculture to be STREAAM. Aha! School yards, let us tilt the soil to cultivate food for sustainable development and to alleviate poverty in our communities. Rise Shine, Code, and Cultivate because we love leading a change. Some reasons for low rates of women and girls participating in Science, Technology, Engineering and Mathematics(STEM) are lack of encouragement, active discouragement, peer pressure and lack of role models just to mention a few. If we can all take the role that Ms. Nomusa Keninda- the Deputy Chairperson of our College Council is playing these reasons would soon disappear. She hosts DigiGirlz event with the aim of empowering grade 9 girls into IT Careers and Coding. One remarkable DigiGirlz event was hosted on the 12 May 2018 at Witbank Campus. This is what she has to say about DigiGirlz. 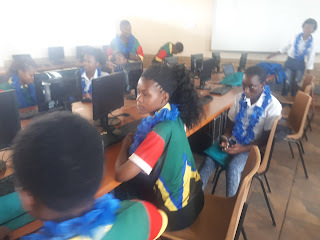 “During the event, we invite Microsoft young female employees to interact with the girls about the jobs they are doing at Microsoft through Skype or physical visits.” After the motivation session I introduce the girls into Basic Computer Science –Coding. The girls were fortunate to meet Ms. Khutso Malungane who is a Technical Accounts Manager at Microsoft South Africa. Ms Malungane related her humble background from the dusty village of Limpopo but was able to obtain her MBA at the University of Stellebosch. DigiGirlz event is a Microsoft initiative adopted by Mpumalanga ICT CLUB where Ms. Keninda is a founder and the CEO. “To me its simple to motivate girls into STEM careers, give girls role models, teach them the digital skills they will need to navigate the work place of the future and show them that tech careers will help change the world for the better” says Ms Keninda. Because of her influencial figure in the promotion of girls into technology especially Coding, Ms Keninda and Mpumalanga ICT CLUB has been spreading the DigiGirlz and Coding events across Mpumalanga and other provinces like Limpopo, Gauteng and Western Cape so far. Recently, she partnered with SchoolnetSA in hosting Train The Trainer Coding Workshops for teachers. 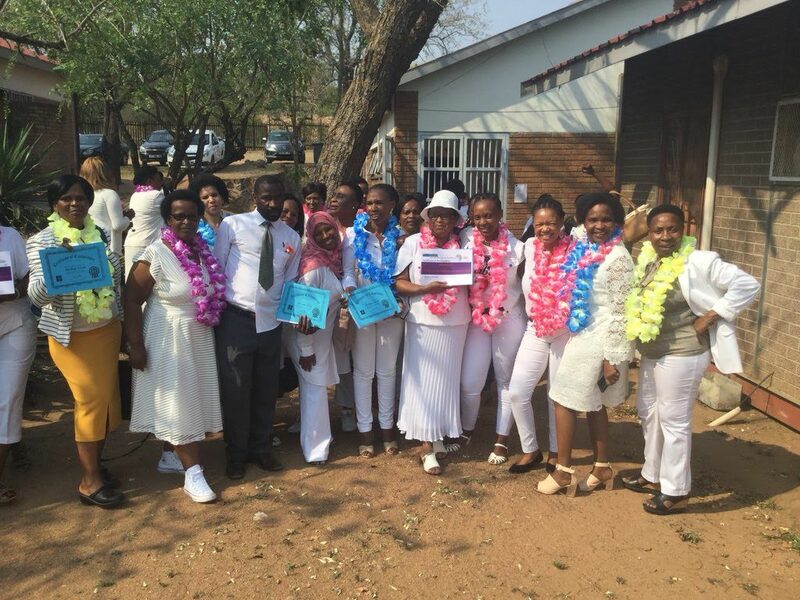 On the 18 August 2018, the workshop was at Witbank Campus, on the 25 August, it was hosted at CN Mahlangu Campus and on the 8th September 2018, Waterval Boven Campus warmly received her with about 70 teachers of eMakhazeni Circuit. When we ask her why she does what she does? this is what she says “I read a lot about the 4th Industrial Revolution (4IR) that is changing the way we receive information, how we process it, how we work and what jobs we will do.” It is happening at rapid pace. So we cannot afford to leave our girls behind when women will be playing a critical role in this revolution to benefit our global society. “My vision is to empower everyone I touch to lead a change” says Ms. Keninda. The college prides itself to have a visionary leader in its governing structure. We hope everyone will assist her in endeavour to motivate more girls into STEM careers within our college community. National Science Week vibes are not yet over. We breath Science, we talk and walk Science and all around us is Science. Even our democracy is Science. Science is beautiful and at OR Tambo Mathematics,Science and Technology Academy, we made it possible for kids to enjoy Science and Technology during the National Science Week 2018. Ms. Nomusa Keninda presented amazing topical issues to the learners before their hands on activities on Coding from Minecraft Hour of Code programme. “These kids should start debating about their world in technology” saidNomusa Keninda. They must embrace change in the ICT space. It must not be the first time they hear about the Forth Industrial Revolution, the Artificial Intelligence, the Internet of Things , 3D printing and robotics because these are topical issues in education globally. Mpumalanga ICT Club Founder, Nomusa Keninda doesn’t sleep at night not researching about any new concepts and skill in ICT. She is digitally fluent and willing to share her knowledge about digital learning. “ We are organizing teachers workshops across Nkangala District to train teachers to facilitate Computer Science-Coding in their schools and community during Africa Code Week 2018” she urged teachers to attend in numbers as these workshops are free. The Club has two initiatives for learners: The DigiGirlz event where grade 9 girls are introduced to IT Careers and Coding with Microsoft team of young ladies who motivate the girls to take up Maths and Science subjects at school in order to venture into IT Careers. The CreatIvITy Workshops initiative is for grade 11 and 12 girls who are trained on Positive Personal Branding and how to develop their own websites and blogs. She is doing a great job in Mpumalanga and also in other provinces as requested. The National Science Week 2018 was launched by the Minister of Science and Technology, at Mpumalanga University on the 28 July 2018 to kick start the National Science Week 2018. The aim is to popularize Science to broader community and to allow everyone to participate in the National Science Week. 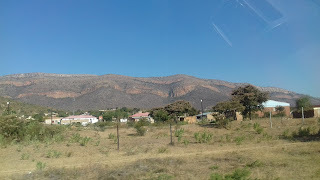 It never crossed our minds that the DigiGirlz event initiative will ever reached GaMaja Village in Limpopo but it did. 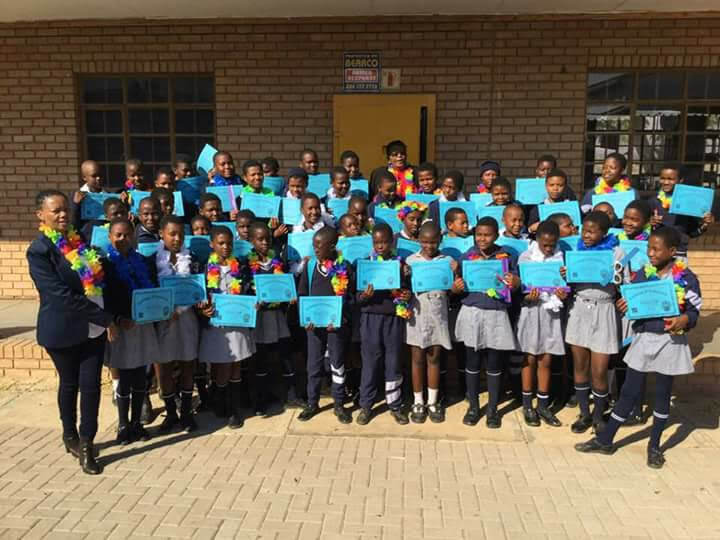 On the 11June 2018, Kgetsa Primary School warmly received Nomusa Keninda, the Mpumalanga ICT Club Founder in their school to Launch the DigiGirlz event. Her visit was made possible by the so called TechnoGogo , Phuti Ragophala. 1. Motivational session: We bring female Microsoft Employees to tell their life journey into IT careers and their day to day work at Microsoft South Africa through Skype or Physically as they can on the day. From Mpumalanga at Kgetsa Primary School ICT Lab. The great and real moment at Kgetsa Primary school was brought by Ms. Mathapelo Sehume and Megan Rademeyer on Skype. Mathapelo is an IT Technician for SchoolnetSA. She grapple with IT skill when it was not fashionable to find a girl in this career. She was the best out of few male classmates. 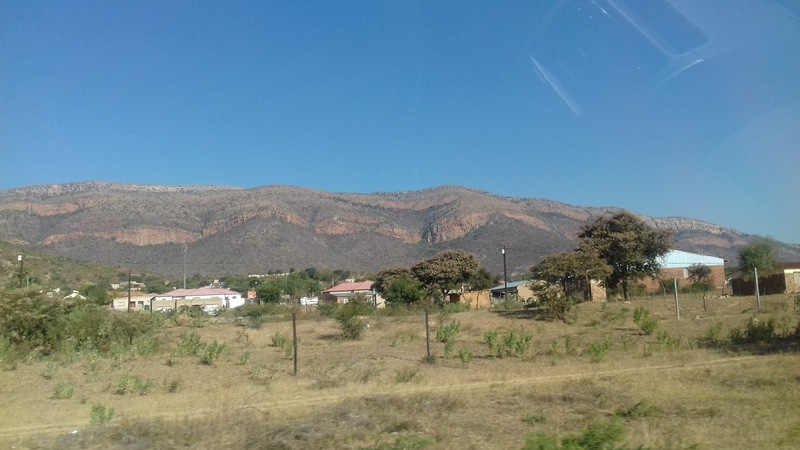 The road to GaMaja Village was amazing, with all the mountain ranges and river valleys surrounding the tiny but crowded village made me understand that kids are kids, where they come from don’t define their destination. They are all looking forward to equal opportunities to change their situations for better. Mpumalanga ICT Club will always support you. 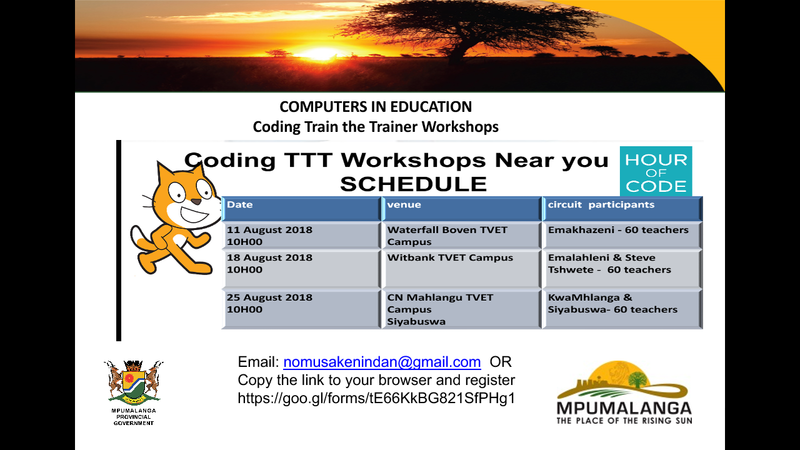 The Mpumalanga ICT CLUB in partnership with SchoolnetSA will be hosting the Train the Trainer Coding Workshops scheduled as it appears on the poster above. 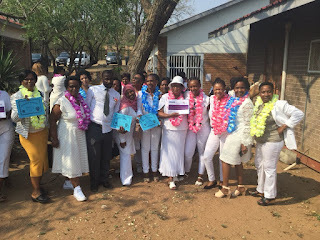 Nkangala district teachers are invited on first come first come basis as they register on the link https://goo.gl/QT5kBK . Maximum of 60 teachers are expected to hit the call to be trained as facilitators of Coding during the Africa Code Week in October and the Hour of Code during December. We expect teachers to train learners and the community especially the youth during the Africa Code Week and Hour of Code events of 2018 respectively. Arrival for ICE BREAKING ACTIVITIES and TEA is 08H00 for 10H00 START.